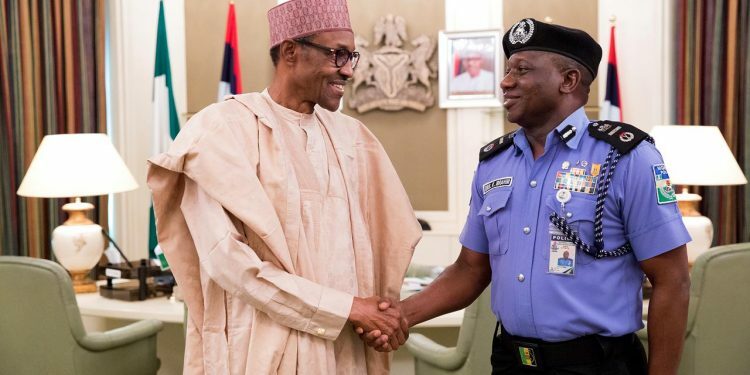 President Muhammadu Buhari on Monday met behind closed doors with the Inspector General of Police, (IGP), Ibrahim Idris, at the Presidential Villa, Abuja. Idris, whose retirement is due from the Nigeria Police Force (NPF), Tuesday, January 15th, as he turns 60, arrived the presidential villa at about 4.30pm and proceeded straight to the Presidentâ€™s office. He enlisted into the Nigerian Police Force in 1984 after graduating from the Ahmadu Bello University Zaria with a bachelorâ€™s degree in Agriculture. Opposition parties and some civil society organisations have already kicked against any potential extension of the IGPâ€™s tenure. President Buhari as commander-in-Chief of the Armed Forces is vested with the power to make a decision on whether or not to extend the tenure of the Inspector-General. You can now go and rest. Congratulations on your retirement.